3rd Grade Reading Proficiency | Back to Basics Learning Dynamics, Inc. The importance of achieving reading proficiency by the end of third grade is well established among education professionals. And, many states have even passed legislation designed to improve third grade reading, while providing specific, targeted interventions for struggling students. This goal — reading proficiency by the end of third grade — is by no means arbitrary. If “graduating” third graders don’t develop the necessary reading skills, they quickly fall behind not only in reading, but in other subject areas. Plus, research indicates that students who do not achieve proficiency by the end of third grade are four times less likely to graduate from high school on time. State policies concerning third grade reading vary significantly across the nation. And, despite best intentions, only 35 percent of starting fourth graders across the country are proficient in reading, according to the National Assessment of Educational Progress. Can reading scores be improved? Unfortunately, reading scores have been notoriously difficult to improve. While math scores have improved substantially since the early 1990s, reading scores have remained flat or increased only by small margins. One explanation is that children generally learn math at school. But, they learn most of their language skills at home – and much of that before they ever enter school! In fact, new advances in research show early experiences — like reading aloud — have a decisive impact on the architecture of a baby’s brain. And, when reading to babies and toddlers, cells in the children’s growing brains respond. Some brain cells are ‘turned on,’ triggered by this particular experience, existing connections among brain cells are strengthened, and new brain cells are formed. Sometimes, intervention by an educational or reading specialist is necessary for success. 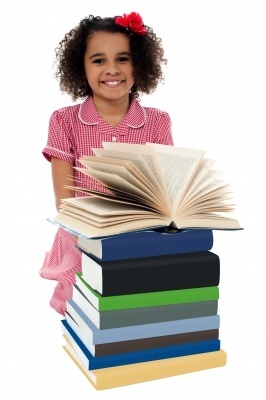 If your child is struggling with reading skills, Back to Basics Learning Dynamics in Wilmington, Delaware provides 1-on-1 instruction using proven strategies for reading and reading comprehension. Our experienced instructors will work 1-on-1 with your student to read, comprehend, retain and apply reading material. These sessions will provide students with the knowledge and confidence to complete any required reading-related assignments, such as reports, projects and tests. Back to Basics is available 7 days a week at your home, day camp, or in our Newark or Wilmington locations. To learn more about reading help in Delaware and southeastern Pennsylvania, contact Back to Basics at 302-594-0754. An investment in education is an investment in the future. Since 1985, Back to Basics Learning Dynamics has been the undisputed leader in 1-on-1 tutoring in Delaware and southeastern Pennsylvania for over 60 subjects for children and adults, including 1-on-1 SAT/ACT/Praxis Prep, as well as translating and interpreting in 21 languages, homebound services, RTI support, and psycho-educational testing.